The National Firearms Act (NFA) of 1936 has been the primary source of federal regulation for “class 3” weapons such as automatic firearms, silencers, short-barreled shotguns and explosives. 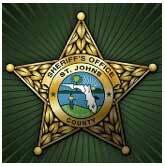 While owning a firearm is a fundamental right for a United States citizen and is recognized by the 2nd Amendment of the United States Constitution, the Sheriff will only participate in the application process when a St. Johns County resident is applying for ownership of an automatic weapon. While the Sheriff has participated in this process in the past, he will no longer consider an application for silencers, short-barreled shotguns, explosives, etc. Alternatively, a citizen may create what is commonly referred to as a “NFA Gun Trust” where the possession of prohibited NFA weapons (class 3) may be obtained. Although this is a legal instrument which must be properly drafted to be valid, there is no requirement for the Sheriff to participate in the application process. While the Sheriff’s Office cannot offer or provide any advice on creating such a trust, I would invite you to utilize the many associations and/or lawyers that specialize in 2nd Amendment issues. There are many advantages to using a NFA Gun Trust and the CLEO signature is one of the least significant. A property prepared trust should be designed to hold all of your firearms and deal with issues in different states as well as guide you on the proper way to purchase and use the firearms.